We live in the golden age of mobile communications and web browsing, and thanks to advances in technology our computers have become faster and smaller. As a result of this many new industries have grown around the platform to create an ecosystem of functions, services and enjoyment for users. Some new sectors that have grown as a result of the ubiquity of mobile devices are the mobile gaming and gambling industries as barriers to access and cost came down. In this post, we take a look at 3 reasons why mobile devices have grown to become the perfect platform for gaming and gambling activities. By far the biggest contributing factor as to why mobile devices have become the best place for gaming and gambling is the portability of the devices we now use. Smartphones pack lots of sophisticated hardware and software in a pocket-sized device that allows us to access content on the internet such as video games, mobile slots, and virtual casino's. Mobile games nowadays have evolved into very well-designed titles with realistic graphics that provide anything from a quick game to pass the time such as Flabby Bird, to fully immersive experiences that provide hours of entertainment such as PokemonGo. Whether you're on your daily commute, have a few minutes to kill in a waiting room, or relaxing at home, - mobile users have access to billions of pages of content, services and much more at the tap of a screen. This portable convenience is why gaming has taken off so spectacularly, everyone with a mobile device is a potential gamer, and millions are taking up the challenge. An extension of the points made above is the fact that casino and video games are now available on the internet and in app stores. Technological advances mean that anyone can enjoy the experience of a casino without having to painstakingly plan a trip to Las Vegas or Macau. In the same way, besides the cost of your mobile there is often no need for further investment to play mobile games as many are available for free. This is in contrast to investing in a video games console or an expensive gaming PC,- as well as the games, for example. Needless to say, many gaming and gambling experiences are now specifically optimised for mobile to ensure each user's best experience on their particular device. Either way, the availability of virtual experiences on the internet and the speed and convenience of mobile mean have helped to grow the industry's popularity. Another internet-based phenomenon that has resulted from the digital boom and mobile platforms is social media. Our smartphones have allowed us to connect with our friends and family beyond just having their phone number. 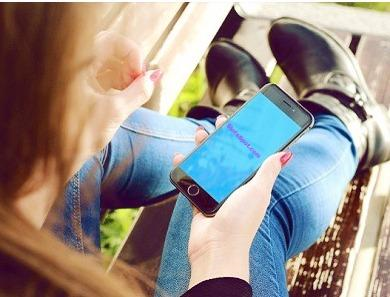 Social media also allows people to discover or build communities based around interests they follow and so it is with mobile gaming and gambling. There is no advertising that is as powerful as word of mouth, and that is what social gaming does best for virtual casinos and games; word spreads and fast popular games end up growing very quickly. The three reasons outlined above are some of the most important factors as to why mobile devices are currently the best platform for playing video games and enjoying gambling experiences. Together they have created the best conditions for gaming and gambling to become as popular as they are today. 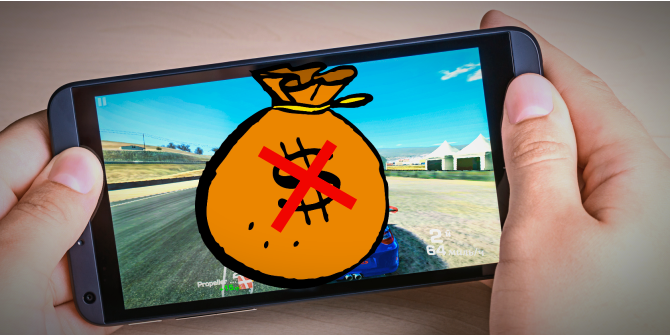 Tags: reasons why mobile devices have become best platform gaming gambling how pay off $800 000 gambling debt? stealing 474 samsung smartphones course! Even though online gambling has exploded over the last few years with plenty of casino gaming apps available, the Google still refuses to allow gambling apps to be downloaded through the Play Store. This lack of a dedicated app download service that supports gambling games has opened the door for Cherryrush.com, a real-play casino gaming app store for Android. Providing a huge range of games and online providers to choose from, Cherry Rush offers the best online gambling apps available on Android, all in one easy to access online store. 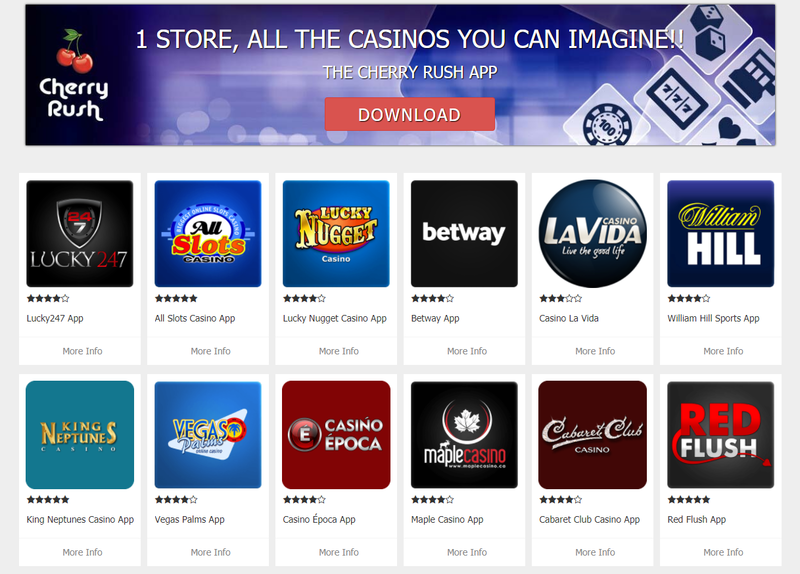 Quality app choices are guaranteed as Cherry Rush play test each of their partner apps, with established online casino giants alongside breakout brands who offer something new and exciting to their customers. Games and apps are available to download or play online 24 hours a day, 7 days a week, with support and full optimisation for pretty much every device using cutting edge mobile technology. Depositing and withdrawing funds is easy and secure, with a wide range of payment methods covered, including credit cards, Paypal, Skrill and even bitcoin in some of the apps available. Cherry Rush is completely free to access too. The app looks fantastic, with a sleek and easy to navigate pages and a simple menu that lets users choose from the wide variety of apps available on the store. There is also plenty of information available on each of the apps available, including what's on offer, how to play and further information about the jackpots, bonuses and game rules. As well as offering such a wide range of great games and online gaming providers, Cherry Rush rates each of the apps available and even shows which games are trending, making your choice much easier and showing which apps are most popular across the rest of the web. Apps can only appear on Cherry Rush if they pass strict quality and security criteria, with Cherry Rush choosing the very best online gambling apps to be available to its users. Cherry Rush have also hand pick some of their favourite titles, with staff picks and games of the week showing which games the team of experts are finding the most fun. Accessing and using Cherry Rush is incredibly easy, With a well designed layout and easily navigable menus. All of our partner apps and casino games come with a helpful description and easy to follow link, so you can spend less time looking for a fun game and more time playing. You don't even have to download an additional app either, with Cherry Rush available via mobile browsers using widely-accepted HTML5 technology. Cherry Rush has something for everyone, with the best online slot games, virtual poker rooms, blackjack tables and roulette wheels for all to enjoy. Depositing and withdrawing funds is easy and both online and app based play is supported, so you can save your favourite games for later. If you're looking for a huge variety of the best quality games on the internet, all found in one easy to access app store, then check out Cherryrush.com yourself today. 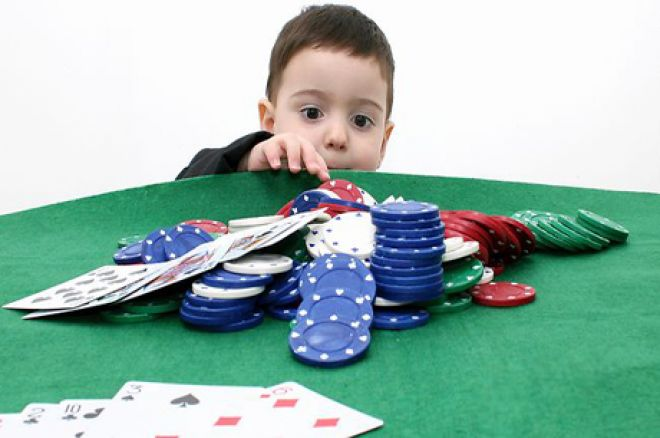 The United Kingdom Gambling Commission (UKGC) recognized the issue about the long-term effects of gambling on children. Hence, it urged gambling operators to implement tougher rules to ward off kids from playing their games. The operators should also review actively how they verify the age of their players to further stop underage gambling. To support the program of the UKGC, most players are now reading the best online casino reviews - UK´s top 10 online casinos. Doing so will help them know which casinos are adhering to the rules. It is a way for them to help the government in preventing and stopping the increasing number of underage individuals engaging in gambling activities. Recently, the Commission regulator revealed new policies designed to assist its programs in preventing individuals under the age of 18 from gambling online. The new rules also target self-excluded players or those who are taking a time out from gambling. After an open consultation, the Gambling Commission formulated the new regulations. Under the fresh policies, all licensed iGaming operators must verify their players' age before they allow them to fund their accounts or play real-money games. Before, iGaming operators would verify their players' age in 72 hours. During the verification process, gamers can play games for real money. However, they could not withdraw their wins unless the verification has been completed and they passed. If the person is underage, the operator must return whatever bet the player has made. The new rules, however, would require operators to verify the players' age before they can even deposit money into their account. Furthermore, they are not allowed to gamble using a free game or bonus. Even accessing the free or demo versions, the player's age has to be verified first before the customer could play them. These new rules will be implemented on May 7. The updated policies cover every area of remote gambling. It includes sports books and online casinos. Apart from age, the iGaming operators must also verify the name and address of the players before they could gamble or withdraw their funds. The Gambling Commission urged the operators to perform reasonable steps in ensuring that the personal details of the players are accurate. 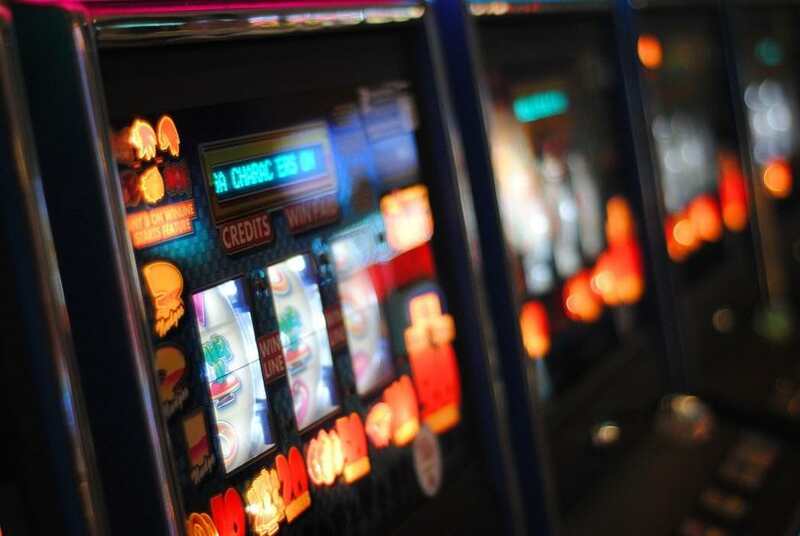 The Gambling Commission received several complaints about some iGaming operators requesting extra ID details each time a customer wants to withdraw winnings. To mitigate it, the Gambling Commission stated that the iGaming operators must ask the required details for verification before the players could deposit money. The regulator obligated iGaming firms to inform their players about the other details that might be necessary to verify their identification. They must also inform them of the information that might be necessary and how they could supply them to the licensee. The Chief Executive for the Gambling Commission also announced that the new policies will assist the iGaming firms to gain more information about their players. In that way, they could further detect underage gambling. The new rules will also prevent any criminal activities related to gambling. He cited that the alterations were made to assist players. The operators cannot demand that the players send additional ID as one of the terms to cash out. In other words, the new rules have been made to ensure that online gambling is fairer. Consumers can collect their wins without having to endure unnecessary delay. Since the online gambling market in the UK is the largest regulated gambling market in the world, the Commission wants it to be the safest and the fairest. With these new policies, you cannot get free spins on registration unless your account has been successfully verified. Any casino bonuses cannot be accessed before the verification is completed. The changes in the rules were formulated after the Gambling Commission review online gambling activities. The Commission promised that it will use its powers to ensure the safety of consumers and protect underage individuals against gambling addiction. Smartphone technology has single-handedly transformed a range of industries and the way we do things in a lot of areas within such a short space of time. In this aspect, the mobile and gambling industry is no different, with mobile phones actually helping to save the sector as well as being a big part of its future and prosperity. There are a number of ways that smartphones have brought about changes to online gaming as the industry has willingly embraced the innovative platforms, helping to increase the amount of players and operators' revenue. With that in mind, in this post we shall take a closer look at 3 ways smartphones have changed the gambling industry. The Internet opened new avenues for gambling providers to reach their existing customers as well as millions of potential new ones. The advent of smartphones meant that each mobile user was now a potential customer, even if it were only for free to play games. Nowadays, online games such as bingo and other casino and gambling games are amongst the most popular and with new players coming on board all the time. In this case resources such as bingosites.uk guides to playing bingo help new players to acclimatise and find the games they prefer and are good at. The easier access and convenience provided by smartphones also means that all the information players need is always only a tap away. Internet connected mobile phones therefore helped to bring easier access and greater convenience to anyone interested in playing casino games or online gambling. This is one of the biggest reasons behind the growth and popularity of mobile games and gambling. Another benefit that smartphones have brought to the gambling industry is the ability to offer a wider variety of games for players to choose from. From digital versions of traditional games such as blackjack, roulette, or bingo, titles with different themes and game play are also now available. Gambling operators can now offer a wider range of games than they could ever do at any one time in physical locations. This is another reason behind the growth in the numbers of people who take part in mobile gambling, as there are games to suit all tastes and abilities. As contradictory as it may sound, smartphones have actually helped to make gambling a more social experience for players. Even though footfall may have fallen in general at physical casinos, mobile phones are able to bring like-minded people together faster, and easier. With both social media sites and gambling games based on the same platforms, it easier to share your interests and favourite games with your friends or even the rest of the world if you wish. This social involvement and the points mentioned above have fuelled a growth in gambling tourism, resulting in an increase in players visiting real world casino again. In conclusion, the three points above show how much of an impact smartphones have had on the gambling industry to become one of its biggest drivers of growth in user numbers and revenue. With innovations coming fast and the sector always keen to embrace new technologies, the future of the two seem intertwined for now. For a fact, with the advent of Internet gambling, there has been a plethora of great benefits. For instance, there is the convenience of relishing in the games from the comfort of your home without the constraints of additional expenses, running the gamut from food, traveling as well as accommodation. Well, the mobile gaming industry certainly fits the bill, down to a niche. As is the case with every new revolution, the field of mobile gaming is no exception, and therefore, it has its fair share of pros and cons, which we will delve into in depth. A coterie of the top notch mobile gaming platforms includes Pocket Win, Vegas Mobile Casino, and Pocket Fruity, among others. As you know, this is indeed one of the most obvious benefits of mobile gaming. Players can quickly and conveniently make their deposits to the mobile casino of their choice. With a single click on their mobile gadgets, the transfer of funds occurs immediately into their accounts. Nevertheless, there is always risk involved when conducting financial transactions via the Internet, but there is no doubt that the benefits far out way the disadvantages. 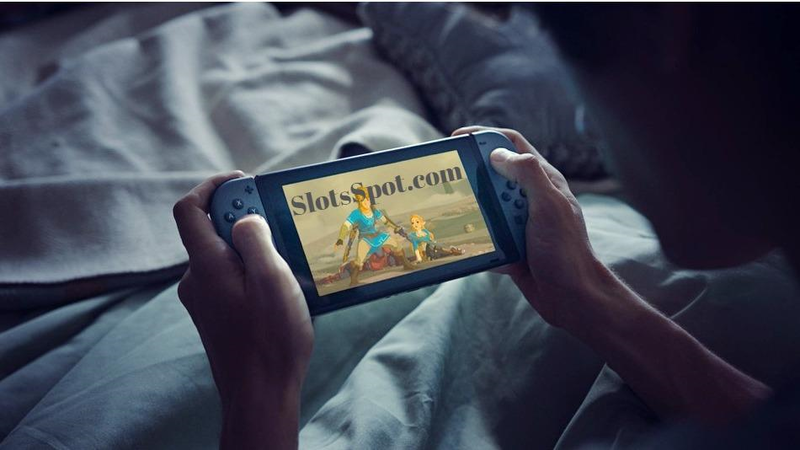 In addition to that, the infinite mobile gaming websites such as www.slotozilla.com are easily downloadable, entail simple installation and more so have incredibly minimal system conditions. In turn, these pulling factors indeed go a long way in the skyrocketing of their popularity. The fact that signing up with a mobile casino translates to you gaining access to your funds, automatically wins points over the traditional methods of accessing your bank balance. As such, there is no waiting time for the processing of your money, which carves an ear to ear smile on your face. Hence, money transactions are completed in a span of seconds to a few minutes thereby allowing you to proceed with your favorite games. As a gambler, you have the option of partaking in the games that tickle your fancy, without the hassle of waiting your turn, as is the case in the traditional brick and mortar casino. Thus, running the gamut from Blackjack, Poker, Roulette, Baccarat, Keno, Bingo and free mobile slots, you have the luxury of pinning down the game which catches your eye. Furthermore, you can take breaks from the games and resume playing as you please. The crop of games has remarkable features such as incredible graphics, bonus rounds, sound effects, and easy-to-use interfaces, which make them quite thrilling to play. The copiousness of casinos on smartphones such as Android, Windows, Apple, and Blackberry, has made it a tad convenient for players to relish in the slots which are within their budget. Thus, this has indeed helped a myriad of gamblers in enjoying the fun that comes with Internet gaming without having to pay through their nose. Hence, a multitude of casinos allows players to place bets which are as low as a few cents. Furthermore, since web-based gaming allows you to play from the comfort of your home, this means that you do not have to order food and drinks as would be the requirement in a land-based gambling parlor. Thus, you can deposit a share of that money in a mobile platform of your choice and boost your chances of winning big. Unlike in a regular brick and mortar casino, portable gaming casinos offer players incredible customer support 24/7. Thus, there is a team of friendly professionals who are always ready to assist players with any gambling issues that arise. Hence, irrespective of whether these queries may occur at 2 a.m., 1 p.m., midnight, on a Sunday or a Monday, there is always someone ready to provide assistance. Without a doubt, you can never substitute the thrill as well as the excitement which comes with playing in a land-based casino. It entails the crowd, the cheering, the physical interaction with fellow gamblers, and the subtle adjustments in expressions, all of which you cannot experience when playing alone in remote quarters. The most obvious travesty among gamblers is the sudden loss of a stable internet connection during gameplay. It can be incredibly frustrating, more so, if a particular game has engrossed you. Nevertheless, the settings of the particular game you were relishing in undergo restoration upon acquiring a stable internet connection. Furthermore, if you were amidst processing your payments, all transactions come to an immediate halt, and you will not incur additional charges. As you know, anything in excess can be harmful to you. Well, the same concept applies in the world of betting. Hence, too much of casino gambling be it online or land-based, can slowly turn into a pitfall as it is quite addictive. 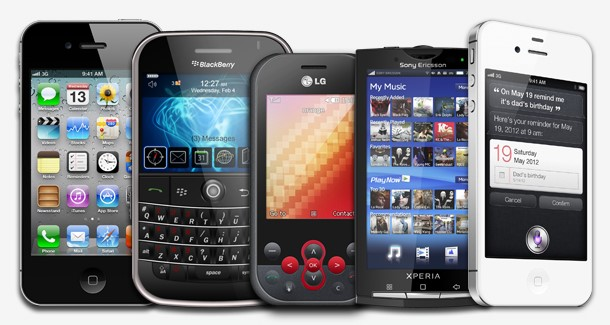 Mobile gambling Apps are now available for almost all high-end Operating Systems. You can now download Windows Apps, Android Apps, iPhone and Ipad Apps and Blackberry thanks to the availability of high-tech geeks. As well, there are social media gambling Apps. Today's latest technology of HTML5 has enabled mobile-optimized websites which is compatible with all devices. Mobile gambling App consumption is expected to hit 168 million users by 2018. Consequently, there is a neck-to-neck competition of creating the best apps in the market. Here is our highly researched list of the best gambling apps in 2017. However, note that finding real money gambling App on Playstore is next to impossible because of the Google does not permit it. 888 Casino App is powered by Net Entertainment which is focused on providing top-notch games with amazing qualities. This is a totally safe App to download and receives £88 free gift. 888 App is compatible with iPhones and pads running on iOS 3.2 or higher and Android devices 4.0 and higher. You will find a great collection of over 60 mobile games including Live dealer games. However, the table games are only limited to Blackjack. NetEnt has also included a variety of payment methods including major Credit cards and e-wallets like PayPal and skrill. William Hill is a Playtech Flash App with a collection of over 150 mobile optimized games. All these money can only be played for real money, just as you would expect from Playtech casino apps. The App has simple navigation properties to enabling shifting between betting games and sports. If you are a slot's maniac, William Hill is here to serve you. You will enjoy amazing slots like Halloween Fortune, Gladiator Jackpot, and Super Diamond Deluxe among others. You can access William Hill mobile casino games on Blackberry, Android, Windows or iOS, but you must first install the following browsers, Chrome, Safari, Opera or Firefox. Royal Panda is fully licensed casino by Malta Gaming Authority (MGA) and UK Gambling Commission. This browser-based mobile casino is compatible with all iOS and Android-powered devices. The current casino geeks behind Royal Panda games are Net Entertainment, NextGen Gaming, Evolution Gaming, and Microgaming. This mobile version offers a total of 200 games led by video slots, live casino games, video poker, jackpot games and table games. New customers have a welcome bonus which comes in hand y with free spins. There is a comprehensive range of deposit methods in Royal Panda app like Neteller, Skrill, Mastercard and Visa Cards. Spin Palace is a veteran of online casino industry powered by Microgaming with a well functioning lobby. This eCogra certified casino has an array of games to keep you entertained while earning. Among them, we have slots, video poker, roulette, and blackjack. There is a 24/7 support team available in a choice of language through email, phone call or live chat. New members are entitled to a welcome bonus of up to $1000. 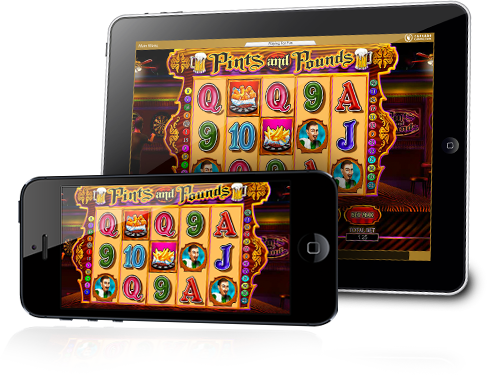 One good thing about Spin Palace is that is compatible with all mobile devices in the market. You must download the gaming app before you can access the game lobby which has games with fine graphics. Moreover, players can make their payments through trust worthy banking options like wire transfer, MasterCard, skrill or Neteller. Bet365 is a leading UK casino service provider for Smart phone or tablet users. 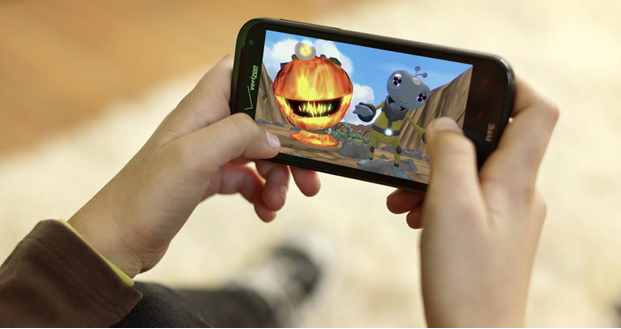 All their games can now be accessed on mobile-based browsers, thanks to HTML5 technology. That said, there is more than 250 high quality engaging mobile games created by Playtech including card games, slots, video poker, jackpots, table games and live dealer games. You will also enjoy live dealer games like Hold'em Poker, Live Sic Bo, and Live Baccarat both from Asian and European providers. The RTP at Bet365 is exceptionally high at 97.78%. The casino has a dedicated and response customer support team which is available 24 hrs a day. Betvictor gambling app is easy to operate and is fully licensed by UK Gambling Commission and the Government of Gibraltar which allows them to offers service everywhere. Most of the games listed here are slots which come in impressive graphics. The huge collection of games includes 260 mobile slots, 4 mobile roulette games, and 5 blackjack mobile variants. This App requires iOS 7 or Android OS to run smoothly. Betvictor punters enjoy a 100% match bonus on their first deposit with abundant trust worthy payment options. Moreover, you will enjoy a knowledgeable customer support team which is available 24/7. 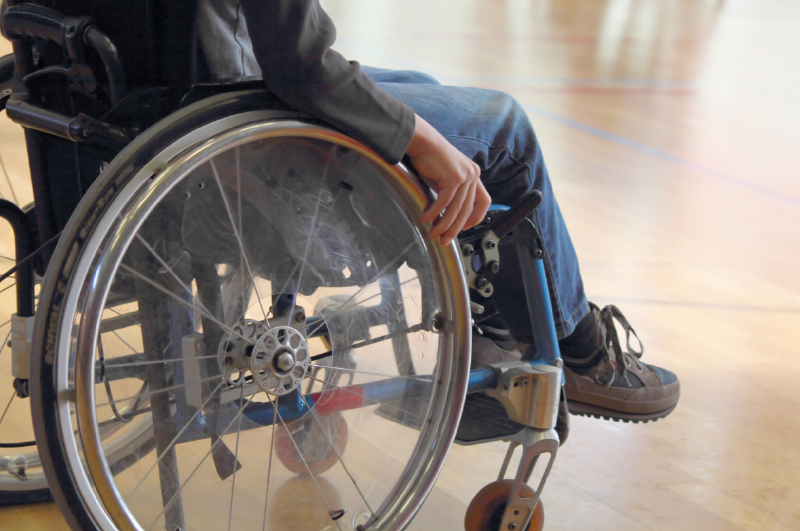 You can select the language you are comfortable with and get assistance accordingly. Lastly, Betvictor app uses SSL encryption technology to ensure that all your data is safe and secure. Gambling is one of the most widespread activities in New Zealand. Queenstown is the largest gambling city; lots of the New Zealanders prefer spending their time playing slots, trying their luck at poker or gaining new impressions playing electronic gaming machines. People like spending time in offline casinos as much as they like visiting online gambling websites. Willing to find the most trustworthy gambling website, New Zealanders turn to top online casinos in New Zealand on https://play.casino/nz/ in order to easily find the website perfect for them and enjoy their pastime online. Slot games gain in popularity with each passing day. Lots of people enjoy playing diverse games of chance in a comfort of their house and, at the same time, winning some amount of money. It's worth being aware of what websites to give preference to in order to enjoy your pastime in online casino. This casino lets you play the best games of chances, such as Big Time Gaming, Danger High Voltage, Bonanza, and many others. Here, you can hit a jackpot playing such popular games as Fire Joker, Hall Of Gods, and have unforgettable time in online casino. This gambling website is user friendly and completely safe, letting users start playing games of chance the moment they enter the casino. Mr. Green makes it possible for you to practice playing free games and then start playing for real money. This gambling website gains in popularity with each passing day due to its bonus program. All the gamblers get a Welcome Bonus the moment they sign up on the site, as well as get a Deposit Bonus which adds some amount of money to a made deposit. Leo Vegas also lets users make some free spins as well as offers Free Money Bonus. A new gambling website where you can spend a good time playing more than 500 games of chance. This casino is known for a user friendly website and an ability to play games on any device. Casimba offers great bonuses to all its clients, such a way VIP clients get access to private tournaments and events. This online casino has established itself as a leading choice among gamblers from across the world. Quasar Gaming is known for more than 150 video slots, so it won't be hard for you to find the most interesting one to play. Bonuses, live chat and easy-to-use interface also make Quasar Gaming popular with users. 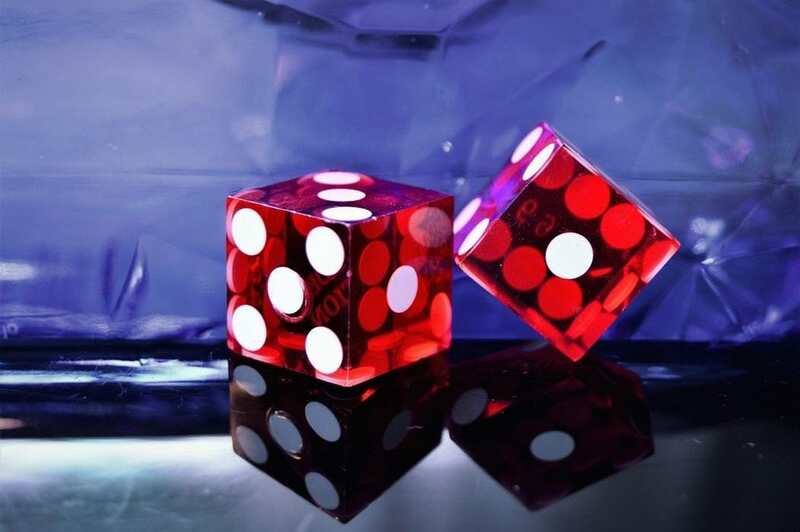 CasinoPop is more than just a regular gambling website. Incredible interface, beneficial loyalty system and dozens of slot machines - all that makes CasinoPop so special and popular with gamblers in New Zealand. Given gambling website also promotes round-the-clock support and is mobile friendly. New Zealand is a perfect place for the people who like taking risks: offline casinos and gambling websites make it possible for New Zealanders to enjoy their pastime playing games of chance at all times of the day and night. Game-changing technologies are sweeping every industry and gambling is no exception. One trend that has caught the eyes of the casinos worldwide is the massive surge in mobile gambling. Take a look at these numbers. In 2016, the share of overall gambling worldwide was close to $400 billion. In contrast, online gambling's share reached $50 billion in 2017. This was an exponential jump within a time span of six years from $30 billion in 2011. Let's take a look at the key trends sweeping the online gambling industry as well as the effect they are having on the mobile online casinos. Ever since we got Oculus Rift and Samsung Gear, the VR technology is showing no signs of slowing down. Today's virtual reality casinos create an experience so close to the real land casino that it's hard to differentiate. You can find slots, blackjack, roulette and other specialty games complete with all the action, sound, music and lights. Slot Millions, one of the first VR casinos offered the slot game "Starburst," which has been a major hit with its outstanding graphics, immersive soundtrack. Even NetEnt dipped its toes in the VR world with "Jack's World," its hugely successful take on the classic slot game Jack and the Beanstalk as a foundation. Nowadays players also can enjoy live streams that don't need high-profile investment and a combination of 3D graphics and 3D sound. Cryptocurrencies have made landfall in the gambling world. Various benefits - anonymity, speed, tax-free status, security, and low fee - that comes with using a cryptocurrency like Bitcoin has attracted a lot of players. It has got the attention of casinos with a lot of crypto coin casinos popping up. Perfect compatibility of cryptocurrencies as a payment method with all the mobile devices is further propping up cryptocurrency as an acceptable trend at all the best mobile casinos. For example, 1xBit.com, an online multi-cryptocurrency-accepting casino has been widely regarded as a trendsetter. It offers unique software for placing sports bets and playing casino games from the top-providers. Players can easily bet on more than 50 sports. Online casinos recorded an unprecedented profit (over $40 billion) last year with the advent of technologies like the IoT (Internet of Things). 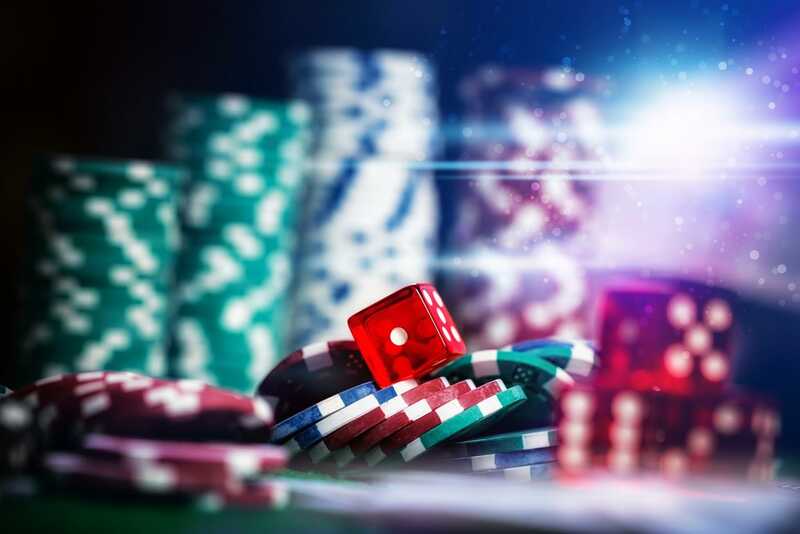 A rise in the connected devices has worked wonders for every industry today with an unbelievable amount of data analytics at the disposal of enterprises, and the gambling industry is also taking note. Information gleaned from the analytics is being used to offer better user experiences for all the casino games on offer. Online and mobile casinos have an advantage over the land casinos as they can react instantly to every iota of data player give them like the choice of games, the length of time spent on each game, and the best time the players like to play. That's how the developers of online slot games can decide what works better. Games with powerful supplementary video and audio content, branded stuff, or theme offerings? All this talk of technology hasn't left the safety and security aspect untouched. The industry is worth billions in the gambling industry with rising hacking attacks on the mobile casino sites. Online casinos and mobile casinos are now increasingly deploying the latest SSL encryption techniques to layer the important financial and personal data. The RNG (Random Number Generator) technology is being used, which is as close to the universal laws of randomness, as you can get. Phone providers offer increasingly sophisticated device fingerprinting fraud prevention solutions to identify users. Also, banks have become vigilant when it comes to online and mobile payments. Then there are a host of regulatory bodies that exercise tight control over land as well as online casinos activities. This ensures that players get a fair deal and their information isn't tampered with. Mobile gambling has latched on to the fascinating world of live casino games. Ever since the first roulette game was rolled out on the mobile platform, all the casinos worth their salt offer a varied range of mobile gaming solutions. Microgaming introduced the live dealer games back in 2006. Today's live dealer casinos online offer an unparalleled experience in poker, casino, baccarat, roulette, and slots. Players get advanced socialization experience, which combined with a land-based casino atmosphere, is becoming popular. The attractive bonuses and VIP programs are also proving to be a huge draw among players. The coming years will see further growth in online gambling and more players in the market with sophisticated technology. The key mobile gambling trends discussed should all be good for the player as vendors fight ruthlessly for their attention and more importantly, money. There will be some winners, and there could be a lot of losers - we wouldn't like to make a bet on it! The segment of online gambling entertainment has risen in popularity over the recent years and has long turned into one of the most popular hobbies across gambling fans worldwide. Thousands or even millions of gamblers from various corners of the world use online casino-powered sites via portable devices in order to play games for real money and just for fun enjoying all the benefits of this kind of venture. There are several reasons why an increasing number of gamblers continue using mobile gambling-oriented apps taking full advantage of the privileges granted by online gambling spots to slot spinners globally. Free slot games for Android phones are becoming more and more popular due to the ease of access and extreme flexibility associated with such kind of entertainment. Let's discuss the major benefits of mobile gambling-related services as well as the most splendid gaming apps existing on today's market. So, why do gamblers choose to play games using mobile apps? 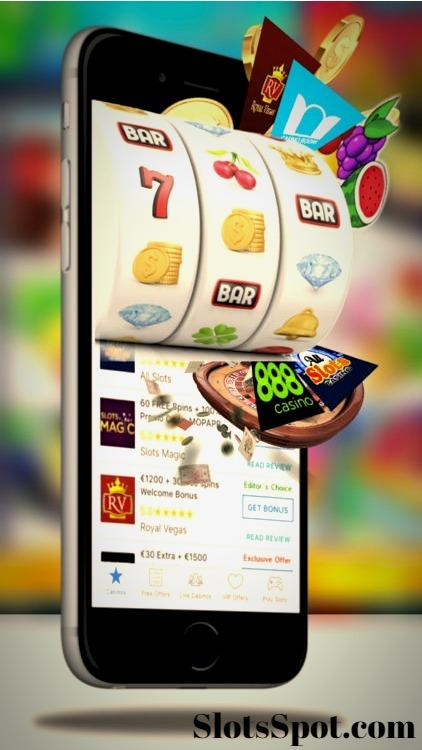 Probably the most significant benefit associated with the use of mobile gambling-related apps is intense convenience with which the modern-day gamblers residing in various parts of the world can access their favorite slot products. Casino lovers do not have to stay at home and sit in front of their computers in order to access some splendid casino offerings. In fact, with mobile gambling you can easily gain access to whatever slot you find attractive wherever you go and whenever you wish. It does not matter at what time you are going to launch the game of your choice, because you will have absolute flexibility and extreme freedom to choose the right time and place for your next gaming session. It is also possible to choose any portable device you find appropriate, including smartphone, iPhone or tablet and you'll be all set to start a fascinating journey towards big-sized winnings and lots of fun. This benefit is closely interrelated with the previously mentioned one. Online casino-related experience of the modern days does not have to be associated with any particular rules or codes that need to be followed with precision. This is because you can easily launch a game from the comfort of your home where you can lay on the sofa and eat whatever you like without any need to attend the physical casino premises in order to gain access to the slot of your choice. No rules established by stationary casinos have to be followed and this is what adds greater pleasure to one's gambling experience. Mobile gambling has allowed players to enjoy one more benefit - to play casino-driven games absolutely free of charge. Most online gambling-based platforms offer various free demo versions of games so as to make the experience of gamblers less risky, because not all casino-loving users would be willing to place real money at stake if they have only started their career in the gambling world. As such, free demo versions allow testing one's luck and skills before placing any real cash bets, which will let you get acquainted with the major peculiarities of various gaming products on offer. This is definitely a big advantage of mobile gaming over land-based casinos that cannot grant users an opportunity to access slots for free. Above all, most online gambling platforms offer incredible bonuses to their clients, some of which allow gamblers to grab additional privileges and add some gold to their pockets with minimum effort. One of the greatest offerings of such kind is the welcome bonus, which may vary according to its type and the size of your potential winning. Casino bonuses might also include no deposit bonuses or re-spin opportunities, but no matter which one you choose, you'll get all chances to take full advantage of your casino experience with no trouble whatsoever. 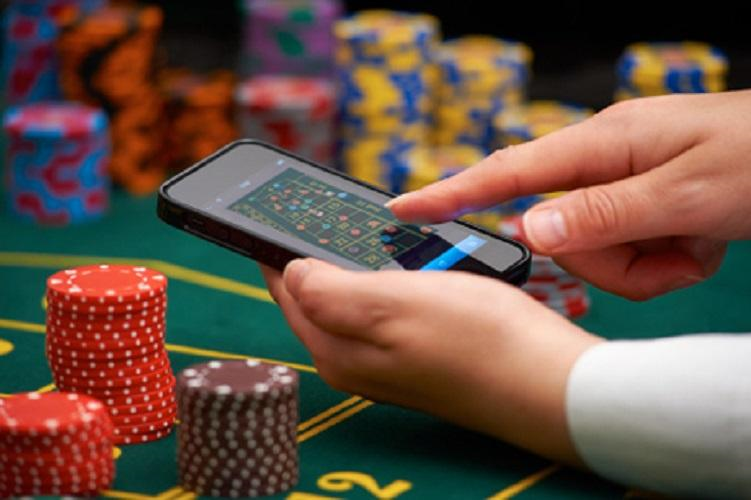 As such, you can now see that just like the smartphones have become an essential part of our everyday life, mobile gambling has also turned into a highly popular means of entertainment especially because the games have become more advanced and are now added with lots of innovative features that have never been seen previously. What are the best mobile gambling apps of the modern days? 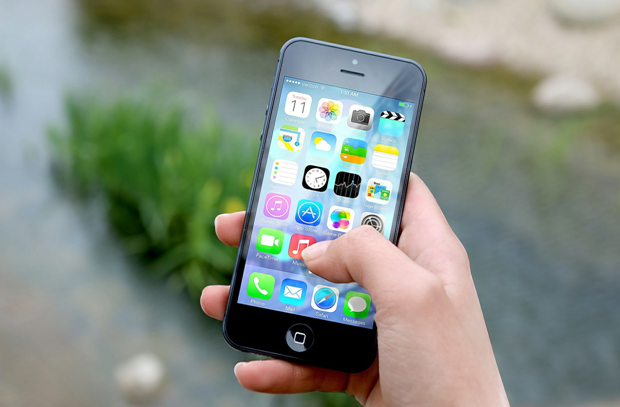 Let's take a look at a few prominent smartphone applications for gamblers. ● Dream Machine - this kind of game allows you to take full control over a specially designed robot that is going to pass through various strange mazes and overcome different obstacles in order to come out victorious and get hold of a prize. Here you will need to employ smart techniques and strategies in order to become an absolute winner. This slot game is packed with many innovative features and is characterized by exemplary graphics that is one of the reasons why it remains a highly popular option on today's market. ● 7 Mages - this game is a superb example of an innovatively designed slot machine that is characterized by unique sound effects and incredible landscapes as part of the gameplay. Apart from taking full control over the adventures during the gaming process, you'll have to travel through different lands until your reach ultimate victory and grab some big-sized rewards in the process. This game is fully accessible for Android and iOS users. ● DIRAC - this is a recently developed slot machine that represents one of the most splendid puzzles of all times. Here you'll have to unravel a few mysteries and get to know lots of surprising details in the course of the gameplay. This game is distinguished by various top-notch features and is fully accessible for not only smartphone users but also those who are utilizing iOS-based devices. Any of these games can be played on the portable device of your choice that will let you have lots of fun and win prizes all at once. What is more, the mobile gambling apps of the present days can either be downloaded or accessed through the internet, which means that you won't have to spend too much time loading the game of your choice. Even a child can manage with this process, which is the best proof that mobile gambling has definitely revolutionized the gaming-based market and made casino products more accessible and easy-to-operate than ever before.